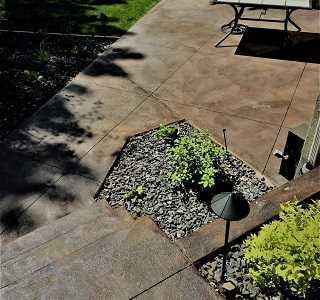 Iron Trident Concrete offers a wide variety of decorative services. We offer an ever growing list of services in the decorative area. We offer Stamped Concrete, Exposed Aggregate, Acid Staining or Acid Etch, Stained concrete, Stamped Concrete Steps with custom stamped nosings, Custom Architectural Smooth Nosings, Concrete Borders ( Stamped, Exposed Aggregate, Float or smooth finish ), Concrete Polymer modified overlays, Decorative inlays, Walls with Custom Rustifications, and more. Below are some of our unsung decorative concrete hero’s. 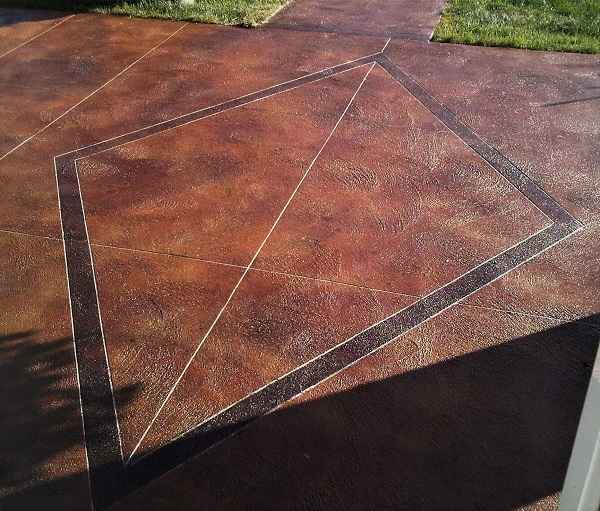 Stained concrete, acid stained concrete, dyed concrete or acid etched concrete are also great options for a decorative project. Staining concrete is normally achieved with using a specialty acid on the surface which reacts to the calcium in the concrete resulting in a permanent coloured stain. Acid Stain and acid etched concrete can be applied so strong that a brown stain is almost black or diluted with water so that they look like a slightly aged patina Concrete, similar to light rust colours. Dyed Concrete is a surface treatment with no reaction but a chemical bond. Like acid stains, it can be used to create borders, designs and patterns with the help of saw cutting. 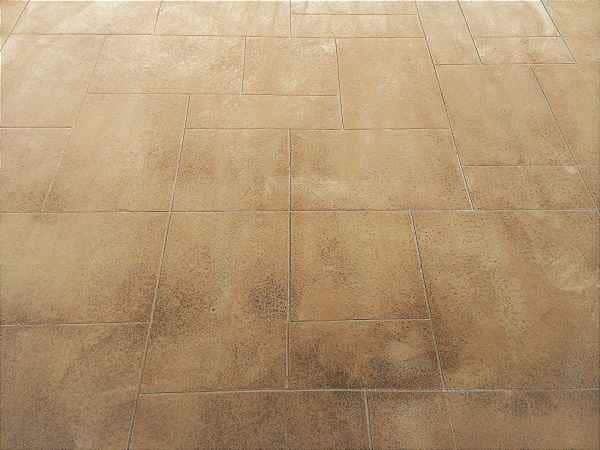 Surfaces that work best to be stained or dyed is smooth surfaces, Float finishes or stamped concrete. The only limit to saw cutting and staining your concrete project is your imagination. Saw cutting concrete is another of our decorative concrete services. Saw cutting is commonly used to make expansion cuts in Concrete, the cut weakens the Concrete in that area so when the concrete cracks, it will hopefully use the cut to prevent random cracking. Decorative saw cuts are very shallow cuts in Concrete which creates squares, rectangles or Ashlar patterns of any size you choose. You can create circles or any pattern you can draw. Creating borders is easy to do, and it’s advantageous because the Slab is monolithic resulting in a Slab that can be poured at once resulting in a saving of time, labourer and ultimately money. 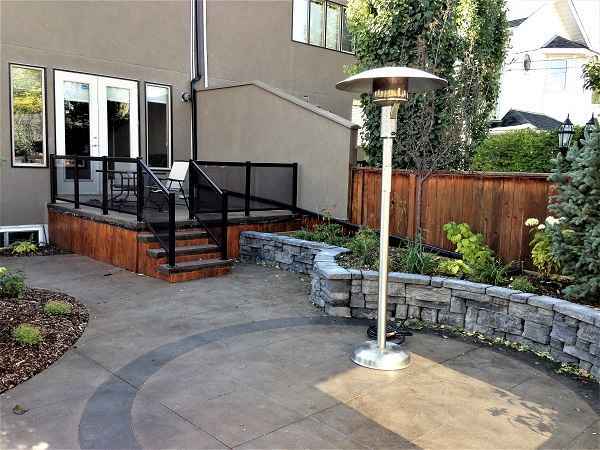 Saw cutting Stamped Concrete and exposed aggregate is also a great look for a decorative concrete project. If you prefer a more rustic or patina look than coloured Concrete staining Concrete is a great option. Colouring Concrete is very simple and inexpensive and can transform a plain grey slab into a visually interesting piece of art with mottled colour variations. This very basic option is often overlooked. There is a wide range of colours from reds and blacks, to browns and blues, even greens. When we add colour to Concrete, we have it added at the batch plant, so it is integral through the Slab. If any damage happens to your Concrete, it is much less evident with integral colour. If you are thinking something past just the typical grey concrete, then tinting it may be the answer. Many decorative concrete finishes use colour, such as Stamped Concrete, Exposed Aggregate Concrete and Float finished Concrete. However if your after something that is more economical than stamped or exposed, yet still decorative, then something as simple as saw cutting your coloured concrete Slab, could be a great upgrade option. Your dream project is closer than you think. We love a creative challenge and look forward to working with you today. Team up with the best in the business and let us turn your dream into a reality. 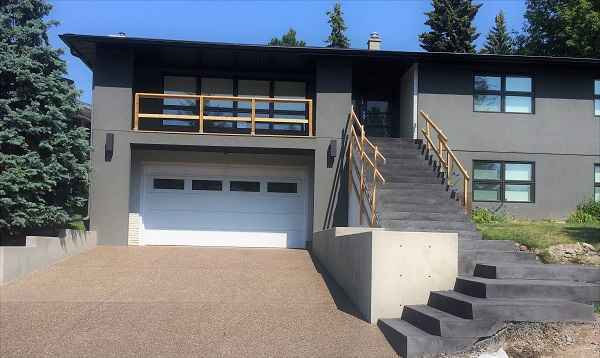 Iron Trident Concrete is here to serve you and make your Concrete project one of a kind and you the envy neighbourhood. For a look at our current work find us on your favourite social media below.